Sometimes I feel like a rock star and I can take on the world. And other times, the list of to-dos is too daunting to wrap my head around. Lately, it’s been the latter. The list of to-dos is mostly trivial (with a few doctor appointments thrown in there) but none the less they occupy space in my mind which translates to taking up space in my day. 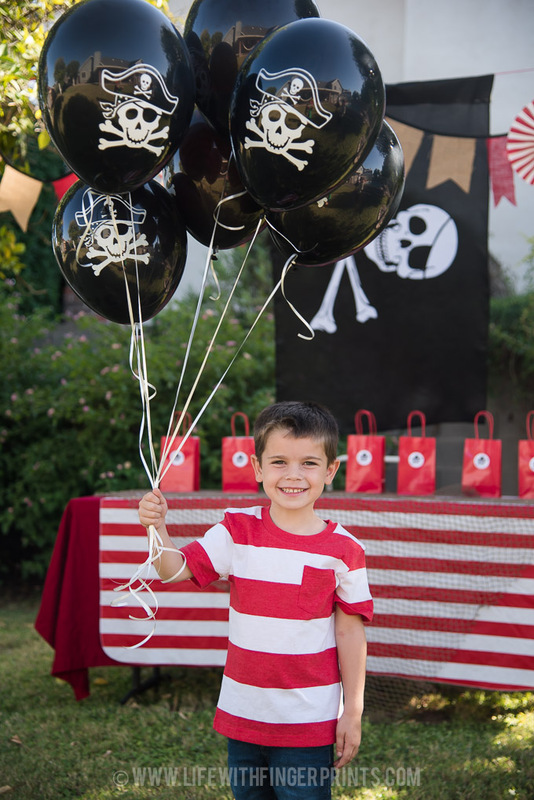 We’ve had a busy few weeks and as much as I wanted to come up with new themed birthday for Cannon for his first friend party, I just didn’t have it in me. I kept putting it off and then his birthday was just days away. 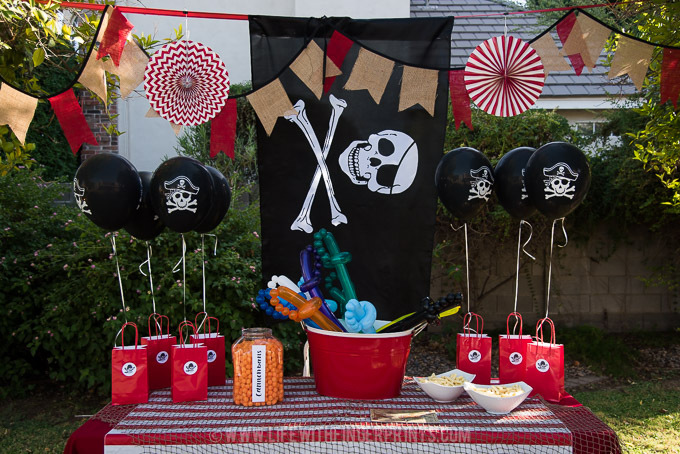 I was talking with Hallie trying to figure out what type of party it should be and it hit me – re-do Hunter’s 4-year-old pirate party. 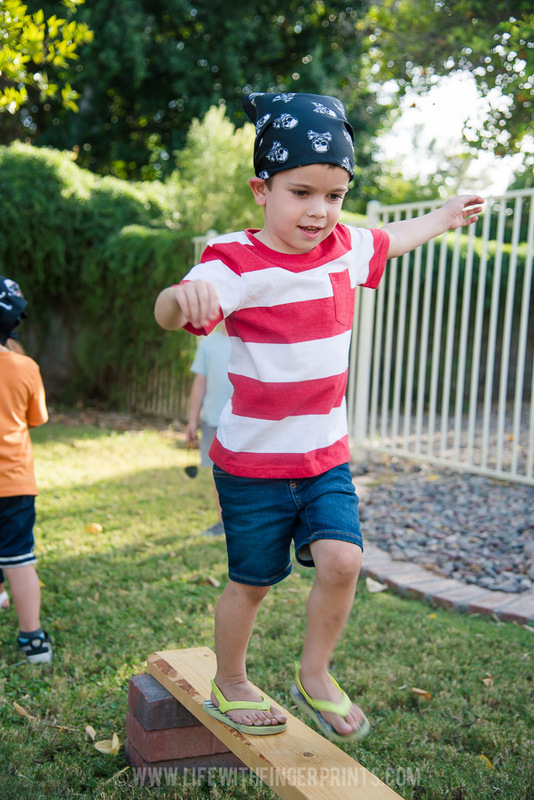 My heart kept telling me he needed a party personalized to him – but my head told me there were not enough hours in the day to reinvent the wheel. 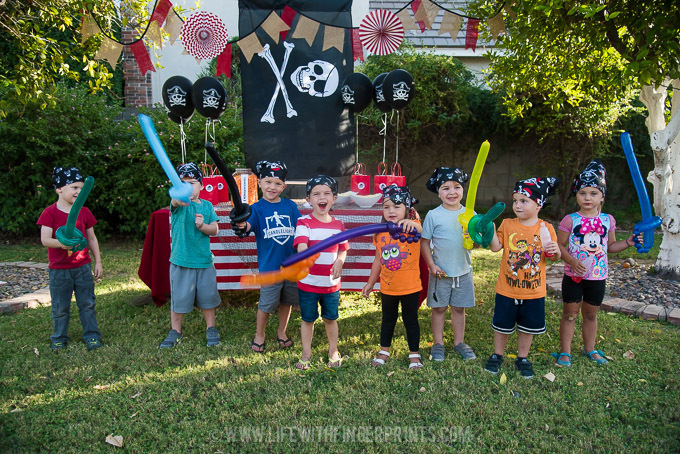 Two days later we threw his first friend party and he had no clue that the pirate flag had already been used before! 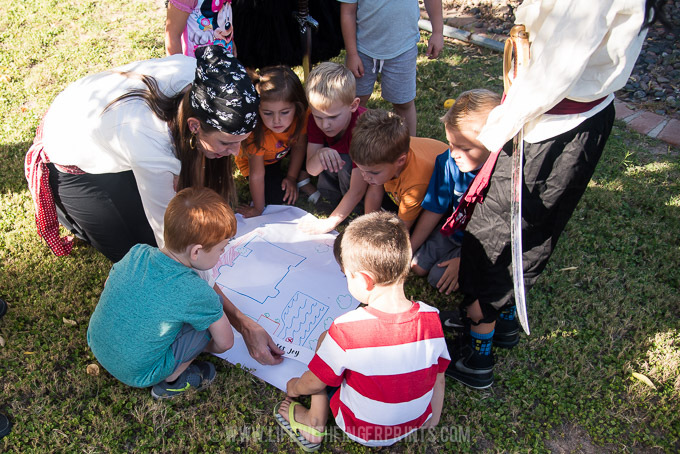 We started with a special treasure hunt – I’d hid clues all around the front yard and back yard. 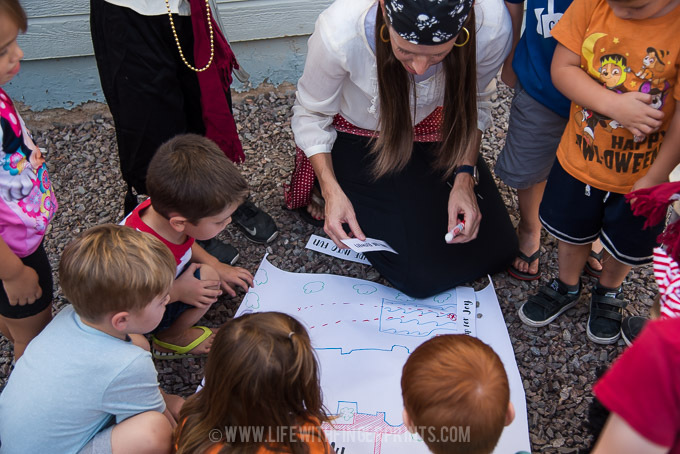 We used a treasure map to update our route as we raced to find treasure: Pirate gear – bandanas, earnings and eye patches. 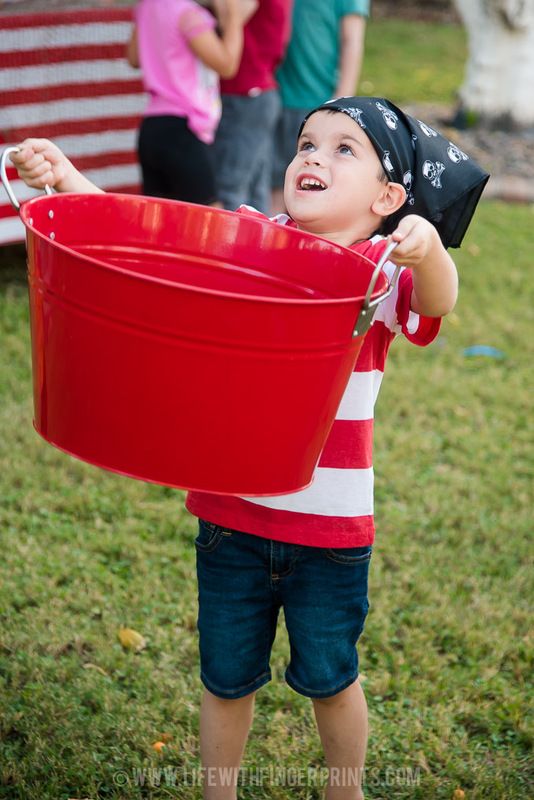 Once they were dressed appropriately, they walked the plank and caught cannonballs (cheese balls) in large buckets. I made swords out of balloons (thank you youtube) and we had sword fighting lessons. 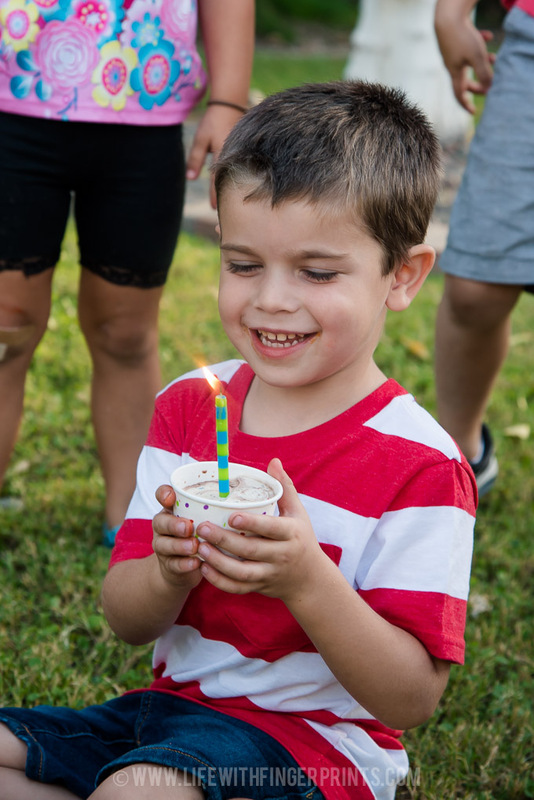 The party was just as successful this year as it was 5 years ago and Cannon was a very happy boy. As a sidenote: There are benefits to having older siblings, even if you do get their leftover birthday parties. 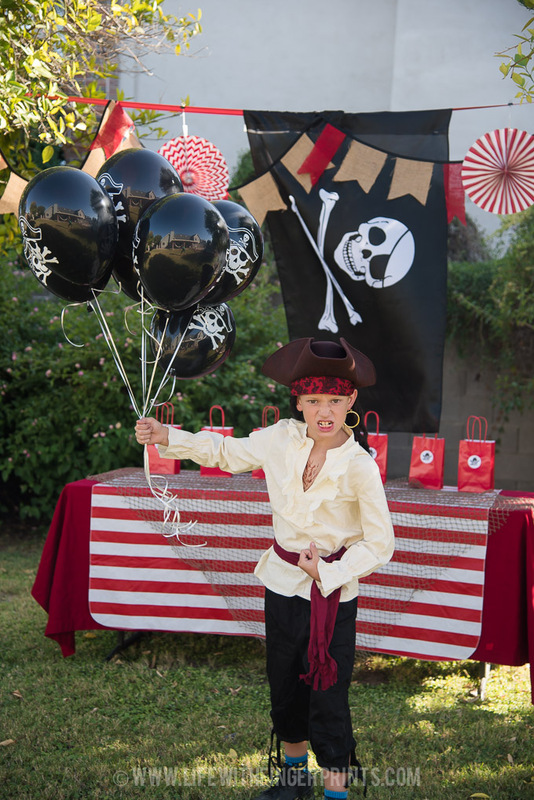 Hunter didn’t have anyone dress up as a pirate for his party but Cannon sure did. 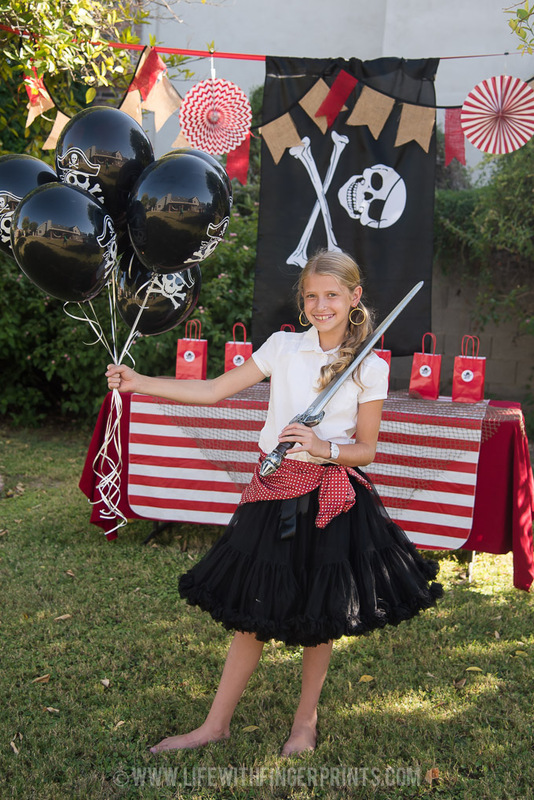 A couple years ago, we were a family of pirates for Halloween – so just before the party, I dug through the costume box and found my costume. Hunter saw what I was doing and asked if he could dress up. 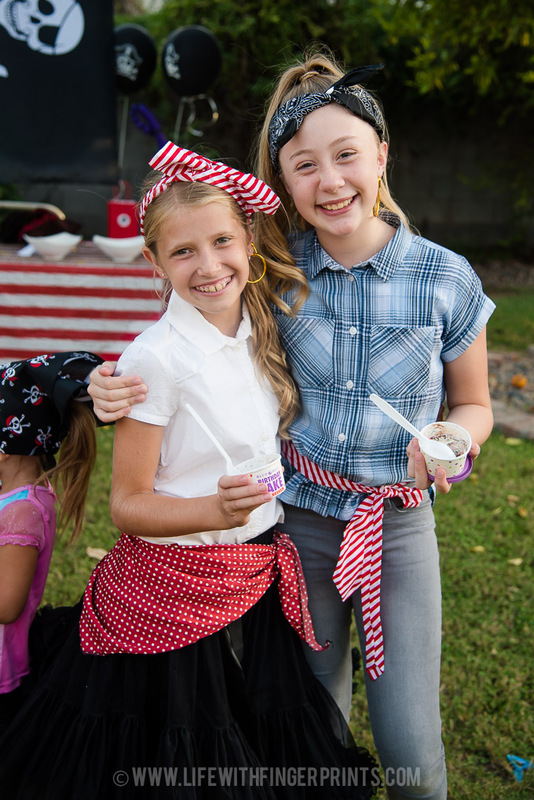 Before long, Hallie, Bennett and Steve also joined in the fun. I asked Cannon if he wanted to dress up but he was happy in his red striped shirt. 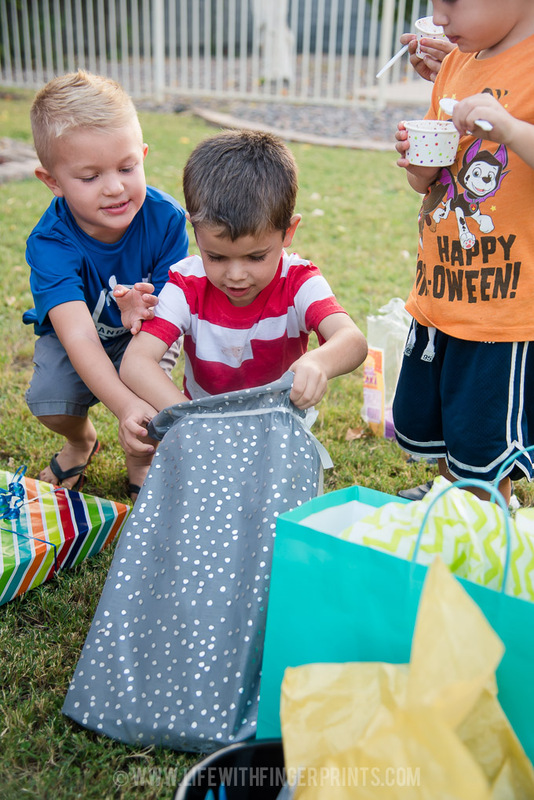 Having all these helpers for birthday parties sure is nice!